Recipe To Be FIT: Saving money on grocery shopping! SAVING PENNIES everywhere :) You may think we are crazy, but we are super excited and TOTAL NERDS! This past Sunday Amanda and I FINALLY did something we have been wanting to start FOREVER! We buy a lot of items in large amounts such as flax seeds, almonds, chia seeds, quinoa, farro, lentils, black beans, chick peas...you name it! We are even getting into the habit of buying the beans you have to soak instead of the ones in the can. The gooey mess that comes on those canned beans just gives me the creeps sometimes! 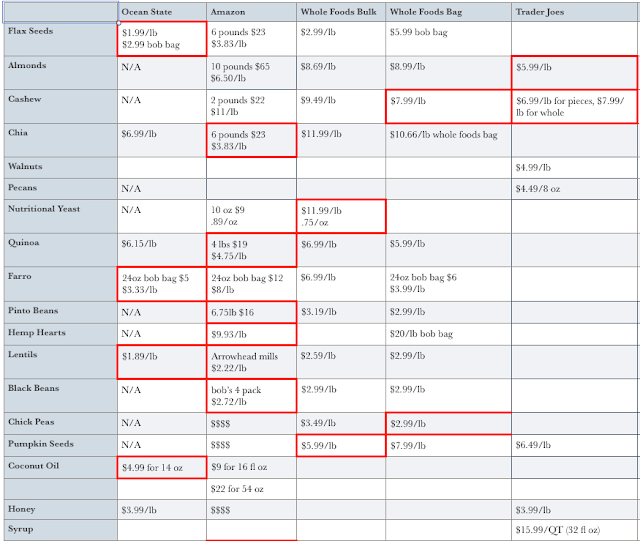 So...we went around to a few stores and compared prices. It even blew my mind that some items at whole foods were cheaper in the bulk, and some were cheaper in the bag. It was a lot of fun and of course we were totally geeking out when we found a cheaper price. 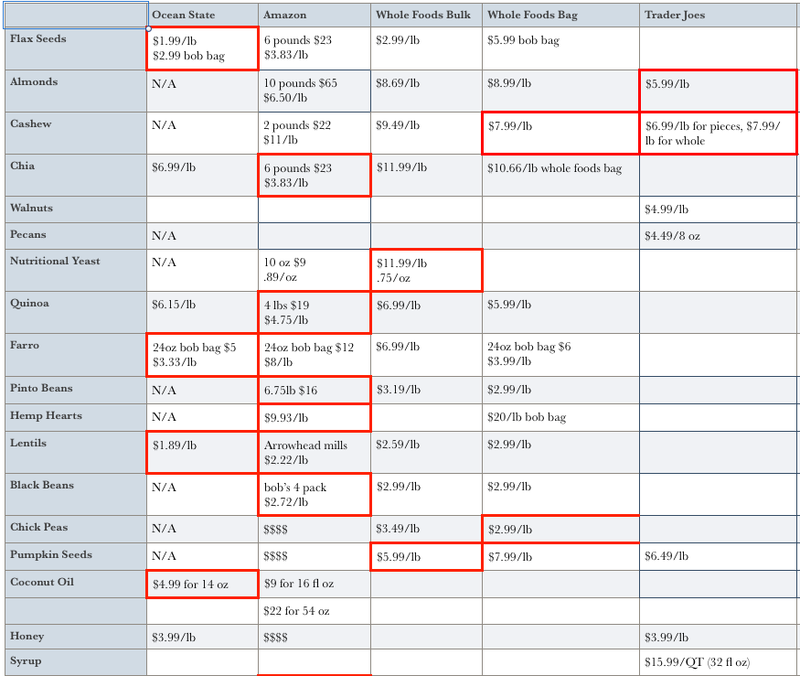 Highly recommend people try this out :) We will be updating this sheet as we continue to compare and save! !